Chester County’s Classy Mommy’s Fave Five? Still searching for a gift for your Husband or Dad for Father’s Day? Well search no further. Our friend Classy Mommy, has compiled a list of sure to please gifts. Click on the links below for information on the goods and special discount offers. There are lots more awesome Father’s Day gift ideas listed at Classy Mommy. Click here to visit the webste. Thanks for spreading the word on my Fave 5 Father’s Day Gifts! 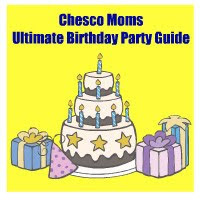 I love the Chester County Mom’s Blog! You girls rock!